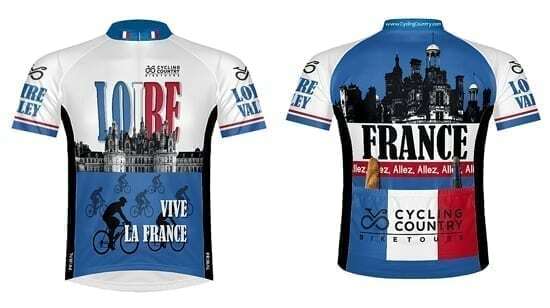 Our French Cycling Jersey of the Loire Valley, is a fun and comfortable wear. 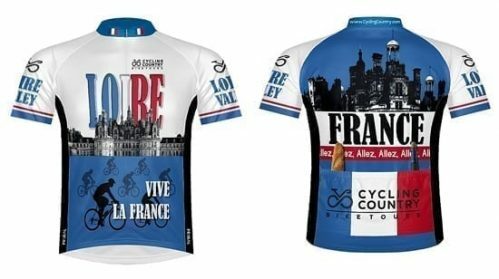 Bringing back those lovely memories of cycling in the Loire Valley with a cyclist motif and pictures of famous chateaus such as Chambord. Fabric: SpeedPro – double knit fabric with a micro yarn on the front and a higher denier filament yarn on the back. The fabric pulls moisture from the back and pushes it off the front.